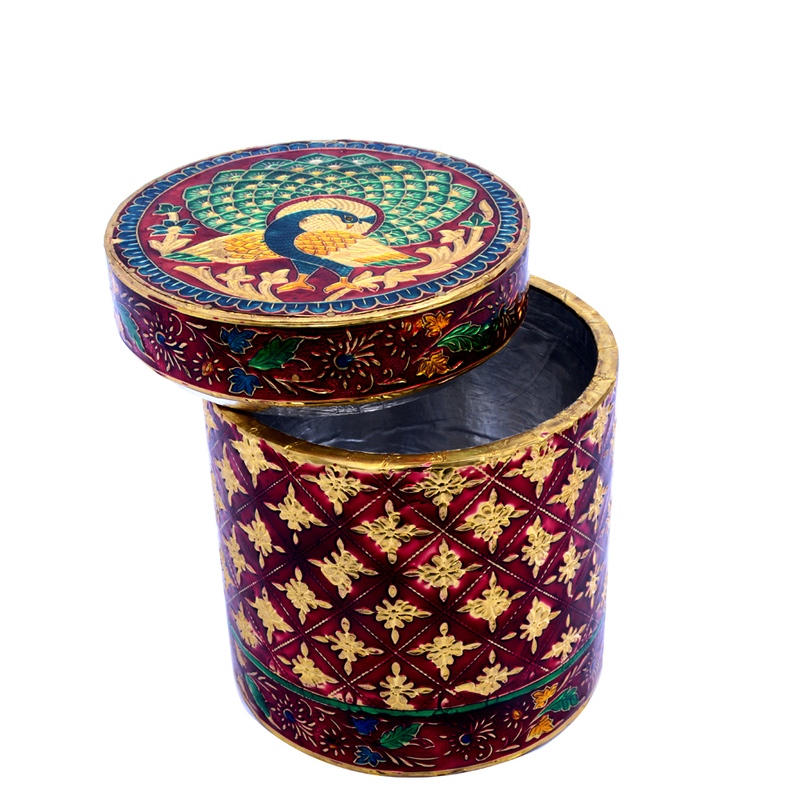 The Round Shaped Multipurpose Box with Meenakari Work features exquisite display of traditional Meenakari work to make it a sight to behold. Moreover, the intricate Read More..patterns of the brass work on the wooden body lend a different dimension to the aesthetic appeal of this piece. This multipurpose box is true to its name when it comes to using it for storing various items, while at the same time adding to the visual splendor of any place it adorns. Show Less..